Micah Network Web Site - Log In! 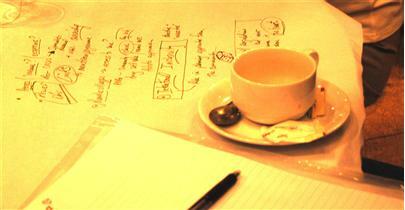 In the 2011 strategic framework we have described ourselves as a network and a movement. As a network we seek to provide support to members through facilitation of events, communication and resource sharing, connecting, synergies for greater cooperation and research into best practice. We long to see the Christian community become more effective as they apply integral mission. As a movement we seek to stand together, to advocate and promote our shared passion and conviction for integral mission. What does this look like? Well, we have a model to follow. Jesus did not come to start a religion or even a network; he came to start a movement. The movement is called the Kingdom of God or the reign of God. 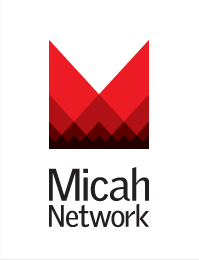 Micah Network is a global community of people who are passionate about being a part of this movement of God. Our part is to proclaim the good news of this Kingdom and to demonstrate the Kingdom of God and the Reign of God. The process we use for this is what we call integral mission. Simply – we need to live as Kingdom people, and though we may not do this perfectly, we have to keep spurring one another on in this direction – this is the added value of a network. By connecting, sharing, learning, discipling, advocating etc. - together we demonstrate the Kingdom of God – they will know we are His disciples by our love not just for one another but for the world. Exodus 9:6 You will be for me a kingdom of priests and a holy nation. We are called to be a blessing to the whole world and that calling involves us taking on the responsibilities of being ambassador and priest: serving, guiding, caring, teaching, building, standing in the gap on behalf of those who are poor, oppressed and marginalised, those who do not know Christ. What does this mean for you? Being a part of Micah Network is saying you want to actively join in this movement and that through the networking opportunities provided spur one another on, share all that you can so as to be Kingdom people. Is that what it means to you? With just over a month to go before this exciting consultation starts, do register now if you have not already done. Topics: Restored Identity; Integral Discipleship; Integral Service, Mobilising; Cross Cultural Distinctives; Missional Church; Justice and Advocacy; Marginalisation and Inclusion; Peacemakers and Reconciliation – plus workshops covering a wide range of topics. Already Coming: great! As a Network we like to encourage all participants to be involved in the consultation. Please contact us at events@micahnetwork.org if you would be willing to volunteer and help in logistics and administration, worship, workshop presentations, resource sharing, sound and IT, etc. We would really love your input. Theme: Good governance and political transformation: pathways to reducing conflicts and poverty. School of Reconciliation: 30th of January to 9th March 2012 in Rwanda. Accord was formerly known as AERDO (Association of Evangelical Relief and Development Organisations). It was established as a network in the USA in 1978 and currently has over 70 members. In 2010 AERDO changed their name to Accord and focuses their attention on being a catalyst for learning, collaboration and building Christ-centred unity around the shared vision of eliminating poverty. Their vision is: Equipping and mobilising the Christian Community to end poverty. Purpose: To articulate principles for further Christ-centred advocacy giving careful consideration to "our mandate, our audience and our impact"
These series of meetings provide an excellent opportunity for learning, networking and collaboration. 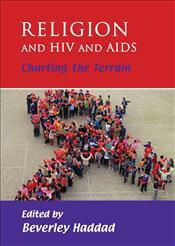 This book, edited by Beverly Haddad, explores the interface between HIV, AIDS and religion and makes a significant contribution to a growing body of scholarship that recognises the importance of religious engagement with the reality of HIV and AIDS. In many communities, the spiritual narrative is far more compelling than its bio-medical equivalent, making interdisciplinary collaboration crucial. The project that gave birth to this book brought together scholars from the fields of religion and theology and activists from local communities. Its content captures the collaborative character of the book and each chapter is accompanied by a practitioner response. Existing scholarly literature was analysed and interrogated in the context of local community knowledge. The task was to understand what work has been done; and to discern what remains to be done. The book has a strong African focus with local forms of Christianity and Islam featuring prominently. Beverley Haddad is director of the Theology and Development Programme and director of the Collaborative for HIV and AIDS, Religion and Theology at the School of Religion and Theology, University of KwaZulu-Natal. 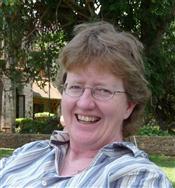 She is engaged in research in the field of gender and HIV and the response of the Christian church to the epidemic. AIDSLINK International and OM are facilitating this training event from 26th November to 1st December 2011in Italy. If you are between the ages of 18 and 26 years of age and wanting to gain experience in transformational development work take a look at this option offered by OJC. - Our Land or God's Land: what should a Christian response to refugees be. Introducing EAA: The Ecumenical Advocacy Alliance (EAA) is a broad international network of churches and Christian organizations committed to speaking and acting together for a just, peaceful and sustainable world. Member organizations, currently 80, come from Roman Catholic, Protestant, Evangelical and Orthodox traditions, and share the conviction that advocacy against unjust structures, practices and attitudes is a fundamental requirement of living out our faith. Two campaign issues are selected every four years for common action. Current campaigns (which will run through 2012) focus on food and on HIV and AIDS. The EAA's Live the Promise campaign seeks to address the root causes of vulnerability to HIV, upholding the life and dignity of all persons. We continue to press governments to ensure universal access to HIV prevention, treatment, care and support as fundamental to reaching zero deaths and zero new infections. With stigma and discrimination still one of the greatest barriers to an effective response; the EAA has strengthened efforts to promote attitudes of care, inclusion and solidarity. The Food for Life campaign advocates for just and sustainable food production, trade and distribution systems. The campaign also promotes just and sustainable consumption, encouraging prayerful reflection as a basis for our attitudes and actions as consumers. Our efforts are centred on the vision that all people should enjoy the right to adequate food, which is only realized when food is available, accessible, affordable and culturally acceptable, and people and communities have the means to feed themselves. 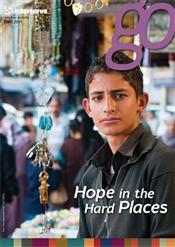 August has been a tough month for us in Micah Network. Our staff team of 6 has reduced 2.5! Greg Manning: Greg has worked with Micah Network since July 2007 and has been an inspiration through all he has done. I know the HIV Forum has been particular enriched and blessed by your faithful commitment to keep information flowing and discussions relevant and dynamic. Thank you Greg for all you have done and for who you are! Our prayer is that the world you have done will blossom and continue and that your next steps will be exciting as you follow God's lead. Timothy Sands: Tim joined us in September last year and has been a vital asset in helping getting our new web site up and running, new and prayer letters mailed to you all. He thrived on the theological and strategic discussions in Micah Network! Thank you for your support and input – you will be missed by all. Ben Akpera: Ben joined us as the Africa Regional Coordinator in January 2011 and carries a massive vision for integral mission and leadership integrity for Africa. Ben – thank you for your faithfulness and willingness to go the extra mile. All members have now been registered on our web site. The number on the home page reflect organisation members – so we currently have 501 organisational members and with additional 80 individual members. The Network: access to information about members around the globe, using filtering option per country, per type, and per thematic area.